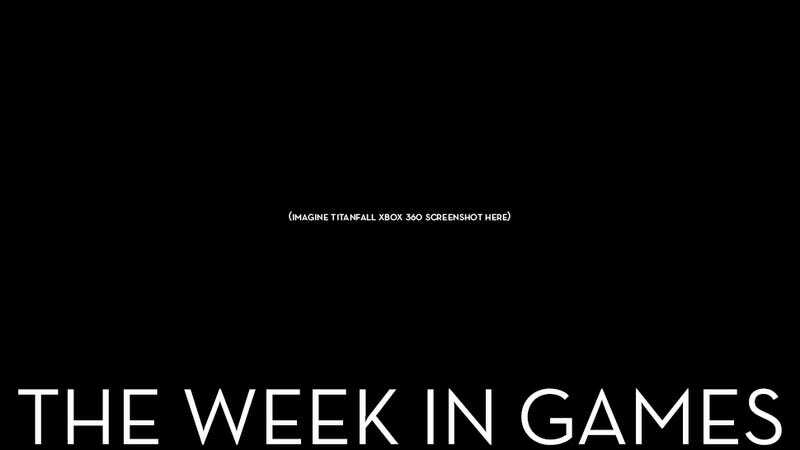 This week's biggest release is a game we don't have a single screenshot or snippet of gameplay for. That's not something you don't see every day. Retailers are selling copies of Titanfall for the Xbox 360 early, but since the servers aren't live there is no way for early owners to capture gameplay footage. There are, however, plenty of videos of the intro video and menus, which tell us nothing. Don't worry, developer Bluepoint says everything will be fine and dandy and above 30 FPS. Having played Titanfall on PC and Xbox One, I am so excited for LEGO The Hobbit.